The Vitra Home Complements Collection connects iconic designs of Charles and Ray Eames, Alexander Girard or George Nelson with new designs of younger talents. The collection includes design objects, home accessories and textiles. Timeless companions for special events. 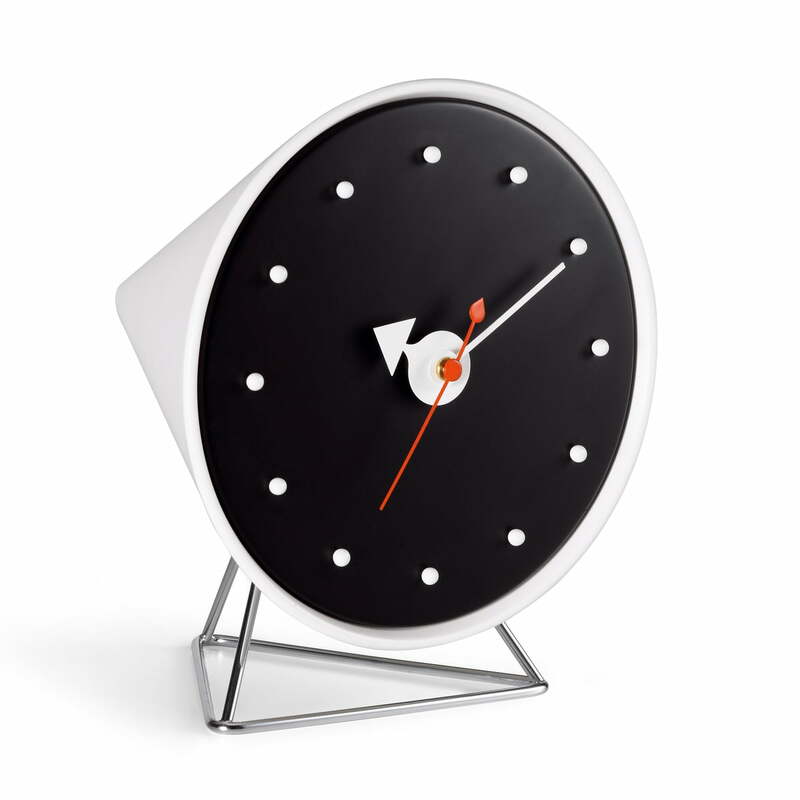 One of the re-edited design objects by Vitra is the classic Cone Clock by the designer George Nelson. As a creative director, George Nelson worked for the furniture company Herman Miller for many years. At the same time he designed clocks for the subsidiary Howard Miller Clock Company, which caught the lifestyle of the 50s. Among them was the Cone Clock, whose name comes from the backside pointed cone shape. The minimal design of this and other clocks by George Nelson is based on the personal conviction of the designer, where the focus lays on the pointers, not on the digits, in order to know the time. The Cone Clock is produced according to original designs by Vitra and it is delivered with a sophisticated quartz clockwork.